Manufactured from 1937 to 1939. 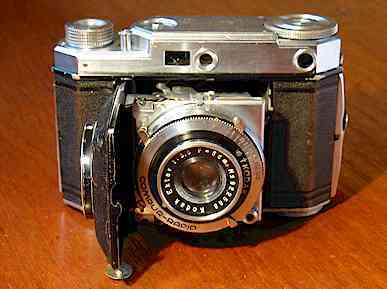 This model was Kodak's second Retina II model, the earlier and quite rare type 122 was a very similar camera, except it was fitted with a short film advance lever. Apparently the film advance proved unreliable, and this model with the simpler knob advance replaced it. 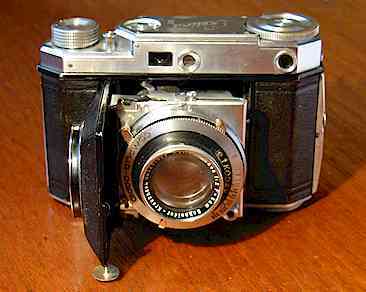 The type 142 Retina II was available with either a Retina-Xenon f/2 like this one, Retina-Xenon f/2.8, or a Kodak Ektar f/3.5 lens, like the one below. In each case a Compur-Rapid shutter was fitted.